Our team is going to take part in the Multigenre Fan Convention Pyrkon in Poznań on the last weekend of April at the site of the Poznan International Fair. We will be focusing on promotion of historical reenactment and Airsoft, as well pop culture references to the Vietnam War. The event will also be an occasion to celebrate 8 years of continuous activity of NAM. NAM operatives will be present at the festival from 25th to 26th April 2015. More details are provided at the Pyrkon website as well at our Facebook profile. Meet with us at Pyrkon 2015! 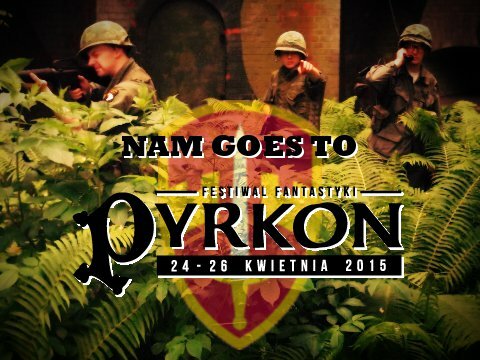 NAM goes to the Multigenre Fan Convention Pyrkon. Poznań, April 24 – 26, 2015.